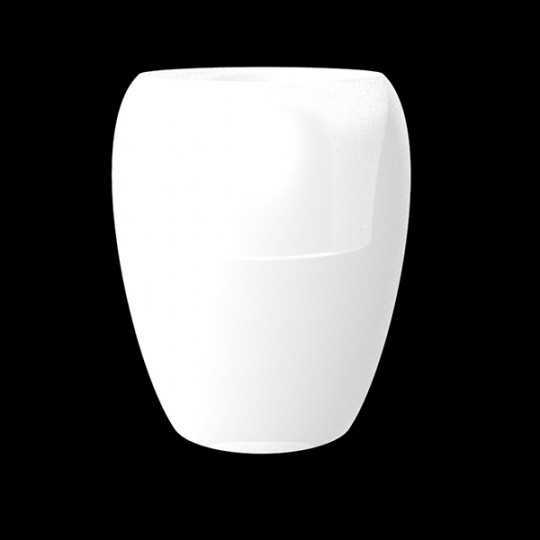 The category Large Capacity Pots offers many styles of modern and contemporary pots to fit large plants. Made in Europe. Suitable for professionals such as architects, designers, event organization or bar restaurants owners. The quality of the materials and their resistance make them particularly suitable for bars, restaurants, bar terraces, hotels layout et decoration. For any project of space designing, we do have the furniture and equipment you need. Do not hesitate to contact us if you can’t see a product on our website. 1 245,00 € tax excl. Blow Pot 120 RGB by Vondom is a Giant Outdoor Jar with Multicolor LED Light. It is both a XXL Flower Pot and a Large Outdoor Lamp with a rainbow effect. This incredible Contemporary Furniture is manufactured by the Spanish brand Vondom.This XXL Pot is very solid, perfect for your professional activity. It creates a magical atmosphere by night and by day. 1 149,00 € tax excl. 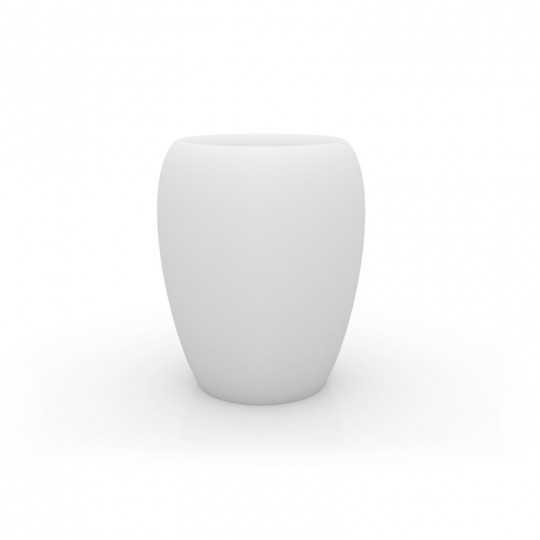 Blow Pot 120 a Luminous Giant Planter is both a XXL Flower Pot and a Big Exterior White Lamp. This incredible Contemporary Garden Furniture is produced by Vondom, a famous European Furniture brand.This Giant Pot is very resistant for your professional activity. It creates an original atmosphere by night and day. 1 980,00 € tax excl. 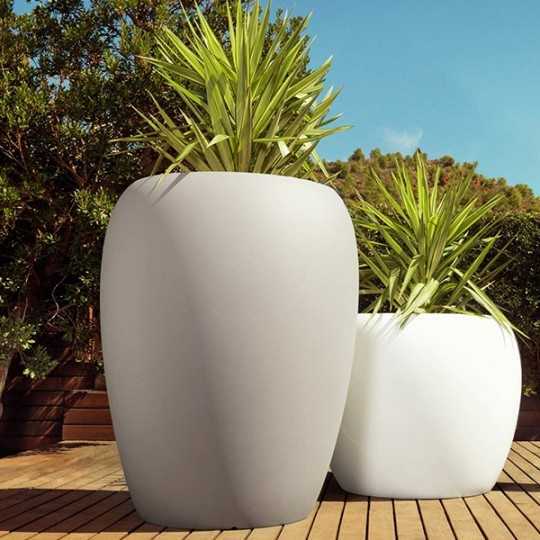 The Vondom Blow Pot 120 Outdoor Polyethylene Planter is incredible. Its XXL lacquered aspect makes it a major asset of your Hotel, Restaurant, Bar Decoration.Your Terrace, Garden, Veranda, Winter Garden will become an exceptional place in which your Guests will feel good and be likely to come back. 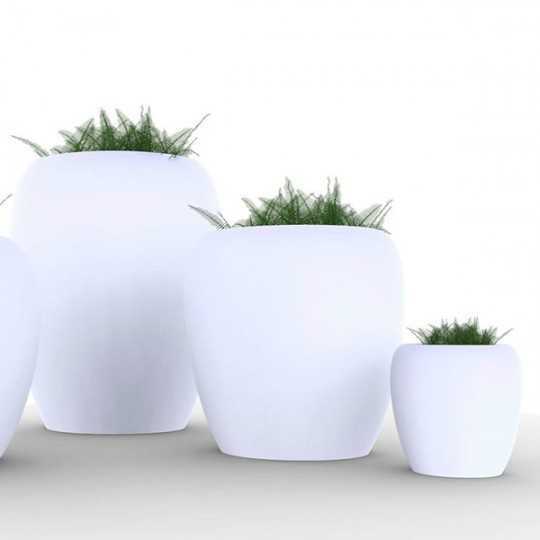 Discover Blow Pot 120 by Vondom, an Extra Large Outdoor Planter. It is entirely made of hyper-resistant Polyethylene with matt finish. Ideal for a Garden, Park, Terrace...This Giant Flower Pot is impressive. It becomes the centerpiece of your exterior decoration. Provide a stylish decoration to Your Hotel Terrace or Restaurant. Blow Pot 75 RGB is a Giant Planter with Multicolor Led Light. It was designed by designers Stefano Giovannoni and Elisa Gargan for Vondom. Made in Spain.Ultra resistant, it can be installed indoor or outdoor on a terrace, a park, a patio, etc.Garnished with flowers or plants, this large bright pot will be an eye-catcher in your Hotel or Restaurant. Blow Pot 75 is a Giant Luminous Planter. It is both a Great Flower Pot and White Outdoor Lamp. This ingenious Contemporary Terrace Furniture is manufactured by the Spanish brand Vondom.This landscape composition is very solid for your intensive activity and your Decoration is original night and day. 1 430,00 € tax excl. With its rounded inflated appearance and glossy lacquered finish, the Blow Pot 75 Giant Outdoor Flower Pot is a real eye-catcher. It guarantees a Landscape Decoration of good taste and High Quality.Its Polyethylene material is a guarantee of robustness for intensive professional use. It is also very functional with its system of self-irrigation. 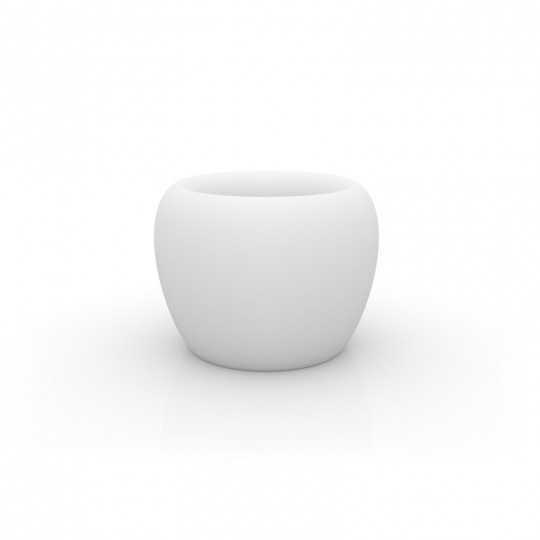 The Giant Outdoor Planter Blow Pot 75 is made of Matt Polyethylene. This material is very resistant: use it on a Terrace, Garden or Park.It will perfectly fit in your Hotel, Bar, Restaurant, either in your Indoor or Outdoor spaces: Lobby, Winter Garden, Veranda, Terrace... With its imposing round size, it will be a masterpiece of your landscape architecture. The Blow Pot 80 is a Giant Flower Pot which is illuminated by a white LED. 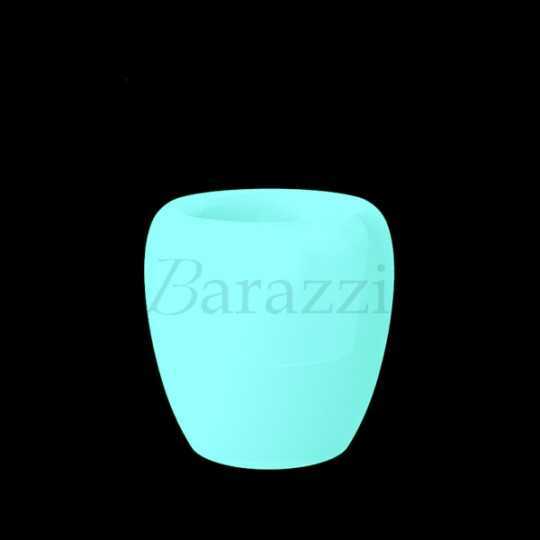 Its structure is made of highly resistant Matt Translucent Polyethylene, ideal for Oudoor use.Light up your Large Planter when night comes, your terrace will become unique! 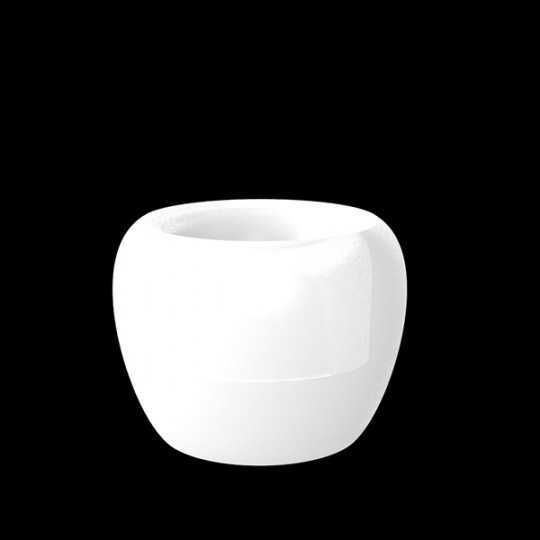 The Blow Pot 80 is a Large Outdoor Planter made of Polyethylene with lacquered finish. 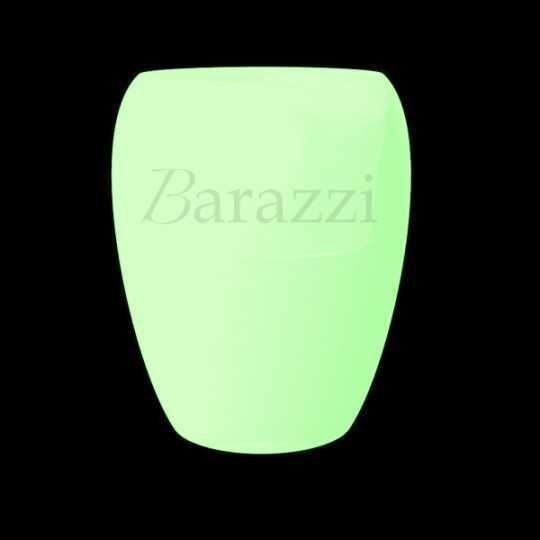 Its glossy appearance will enhance your Garden, Park or Terrace of your Hotel, Bar or Restaurant.Its conic shape with rounded edges makes it a Zen element of your space. This Flower Pot is also very functional with its self-irrigation system. 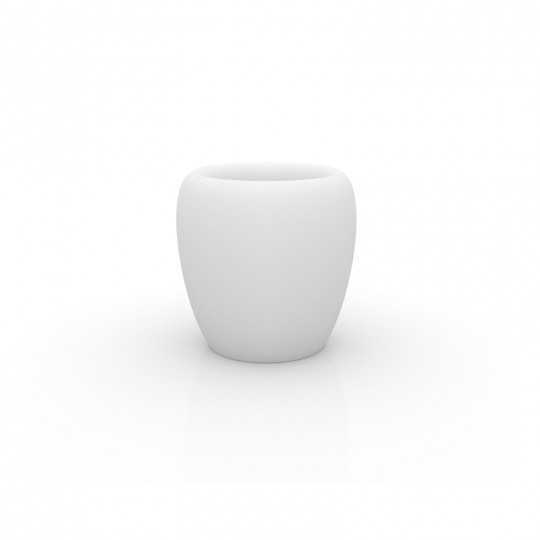 The Blow Pot 80 is a Big Plant Pot for your Outdoor spaces. Its structure is made of polyethylene with matt finishes.Its round conical design is very aesthetic. It will find its place perfectly on the Terrace of your Restaurant, Bar or at the Poolside of your Hotel. This Large Planter is the final touch of your decoration! The Pot Blow 60 RGB is an Outdoor Planter with Multicolored Light. It is made of Higly resistant Translucent Matt Polyethylene.At night, its Rainbow Light will decorate your Park, the Terrace of your Restaurant.You can illuminate the paths of your Garden, to welcome and guide your customers.